This gentle botanical facial cleanser acts as a great emolient. The mild foaming action is derived from sources like corn, coconut and sugar beets and emulsified to a creamy consistency. Includes Chamomile, Aloe, Cucumber and Japanese Green Tea extracts, each used to soothe, tighten and act as an anti-oxidant on the skin. These botanicals can assist in epidermal problems and inflamation. This face wash is gentle on all skin types and suitable for daily use. Fragrance can sensitize the skin and therefore we didn’t put any. 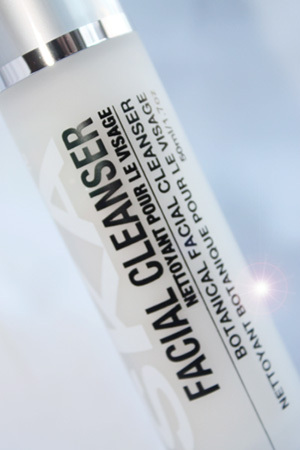 This facial cleaser will penetrate your pores and dislodge the unwanted sebum. if you need to get ride of impurities with a good facial cleanser, this face wash is for you. Good for your kids too! Ingredients: Deionized Water, Sodium Cocoamphoacetate, Decyl Glucoside, Sucrose Cocoate, Cocomide MIPA, Glyceryl Monostearate, Chamomilla Recutita (Matricaria) Flower Extract (Chamomile), Aloe Barbadensis (Aloe Vera) Leaf Juice, Cucumis Sativus (Cucumber) Fruit Extract, Camellia Sinensis (Japanese Green Tea) Leaf Extract, Emulsifying Wax NF, Phenoxyethanol and Caprylyl Glycol (Optiphen®).